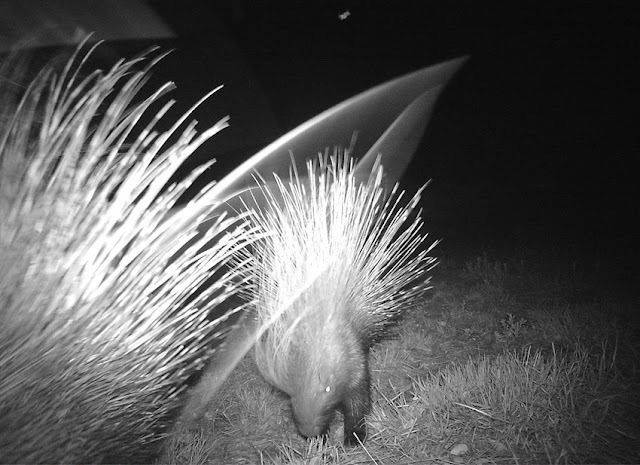 I'm still busy forming my opinion about my new SecaCam HomeVista camera trap. I believe in finding the strengths and weaknesses of each camera trap I own. 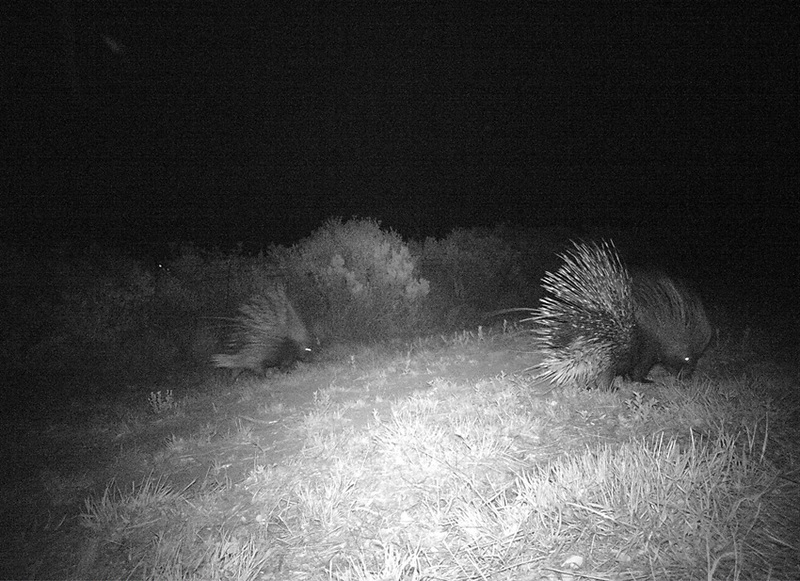 For the HomeVista the wide field of view and dynamically adjusting flash intensity sets it apart from other camera traps. This is the first camera trap I've seen that is capable of adjusting the intensity of the flash based on the distance between the camera and the animal. This helps to reduce the amount of overexposure in the photographs. 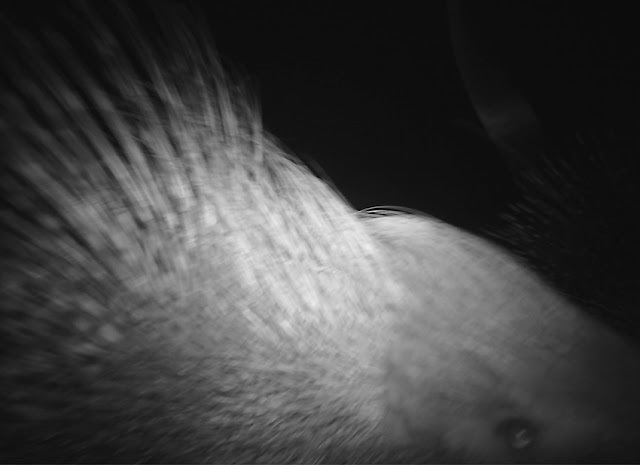 The following sequence of a Porcupine family at Paarl Mountain illustrates the dynamically adjusting flash very well. The combination of the wide field of view and the dynamically adjusting flash felt like the perfect combination to test on my resident Golden Mole. I usually have to physically dim the IR flash and set the camera trap to use the lowest flash setting available, but with the HomeVista I didn't need to change anything. It works great in a confined space. I find that videos usually work best when dealing with very small mammals, but I wanted to test both the photo and video settings. I had the camera trap take 5 photos and then a short video clip, but I think only 1 photo and then a video would have been be better. The video clip below turned out rather comical, albeit a little bit distressing to watch. I'm also trying out new ways of creating the holes I use when camera trapping underground. I want to make the holes a bit larger and more sturdy so that they will last for longer. I'm now covering the hole with wooden planks, for easier access to the camera trap. The wooden poles, which are used to support the planks, can be seen in the video. 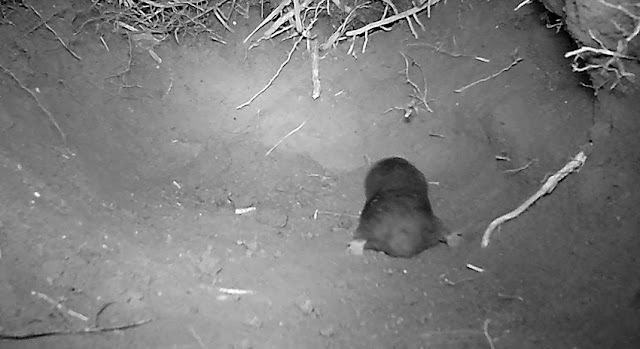 This hole is fairly deep, much deeper than my previous attempts, and as a result the tiny Golden Mole struggled a bit to climb up the slope. The bottom half of the soil is rather hard, so the subterranean traveler wanted to get back to the softer top soil. Once he makes it to the top you can see him quickly tunneling away. Golden Moles are completely blind with no external eyes at all (their eyes are non-functional and covered by skin and fur). It really is a marvel that the critter is still clearly able to know where it is and where it wants to be going. It has been hot and windy here in Cape Town and I've been having trouble using this camera trap in more conventional locations. It seems to trigger very easily from warm wind and vegetation. Luckily it seems to work well for Golden Moles and I'm excited to try this camera trap out in more areas where very small mammals might be scurrying around.